You are browsing the archive for Enterprise Mobility Suite. Log onto the ADFS server. Import the new (exported with private key) certificate to the server. Make sure this is added to the personal certificate store for the computer account. Find your thumbprint for the new certificate. Either use the GUI thru the MMC to see the details of the certificate or us powershell with Run Get-AdfsSslCertificate.. Take a copy of the thumbprint and ensure that the spaces are removed. Make sure that the service account that is running the ‘Active Directory Federation Services’ service is granted read access to the private key. Restart the ADFS services. However this is not enough. 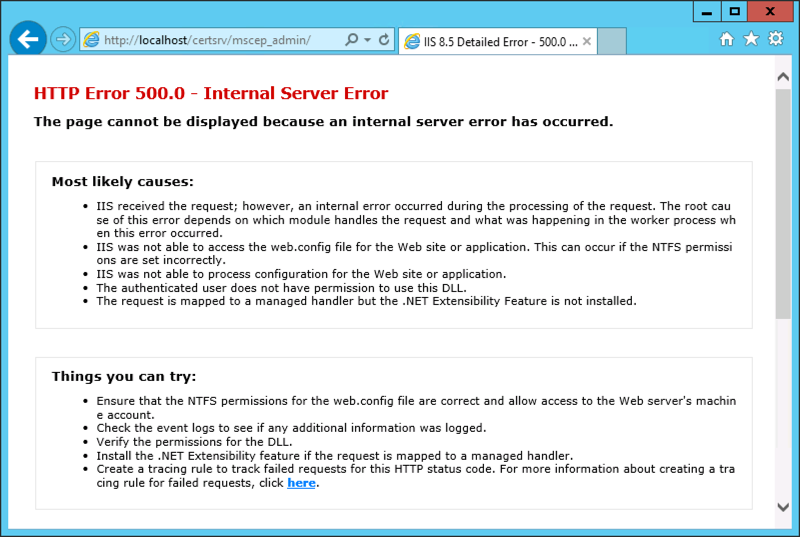 Changes made in the GUI does not change the configuration based on the HTTP.sys. To complete the configuration change, run the following PowerShell command : Set-AdfsSslCertificate –Thumbprint <Thumbprintofyourcertificate>. Now you need to log onto the WAP server. Import the new (exported with private key) certificate to the server as in step 1. Now you are done and you are a happy admin once more . Took me some time to figure it out . For me this was the best keynote ever for all Microsoft’s events I’ve been at, virtually or physically. Wrapped up after three hours, I want to give you guys a heads up for what is happening in my area of expertise, Enterprise Client Management. – Windows Update for Business – This is an advanced version of what you already know today and it’s called WSUS. Together with Windows 10 it will allow you to control which machines get Windows Updates or even feature updates. Integration with your existing tools like System Center and the Enterprise Mobility Suite – so that these tools can continue to be that ‘single pane of glass’ for all of your systems management. – Office 2016 Public Preview – Available for Office 365 subscribers and those who want to run the full standalone install. This version will really kick down the #EMS offering on IOS , Android or Windows. Office will be the key in the whole mobility story. – Windows Server 2016 – A second technical preview is now available for download and testing and will allow you to unlock some additional Hybrid functionallity , such as updates for Hyper-V ,ADFS , Workfolders , etc . – Microsoft Advanced Threat Analytics – Brings on premise Azure AD level security monitoring and threat detection. This software/service is the result of Microsoft’s acquisition last November of Aorato and it’s a great add-on for EMS and AD premium. The preview is available now from here. I hope that you are as thrilled and exited as myself and that we can show you all these cool things in our own lab and we hope that we can see you at one of our SCUG.be events. 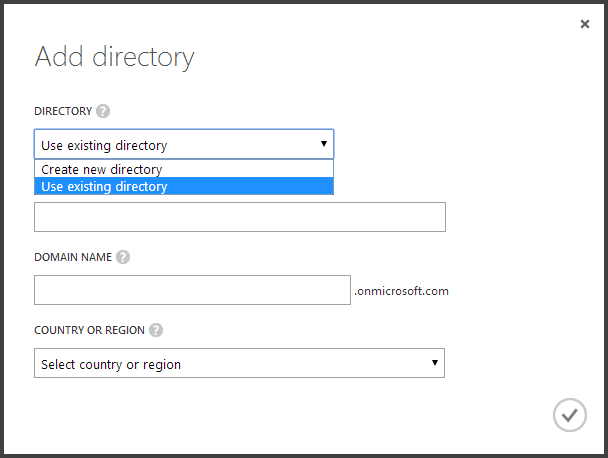 Enterprise Mobility Suite: Steps to add your O365 infrastructure when already using your hybrid Configmgr 2012 R2 and Windows Intune infrastructure at your company. 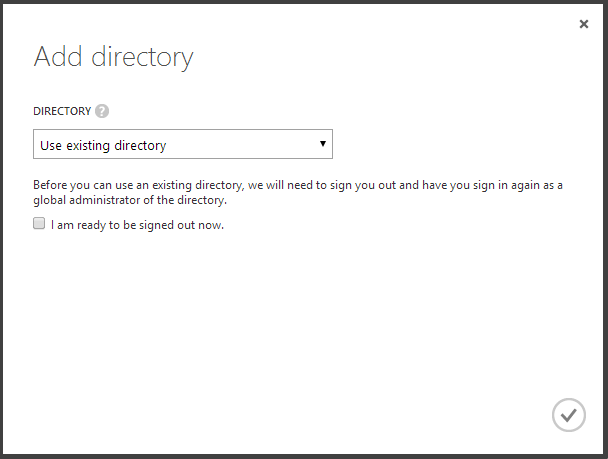 The most common way that WAAD directories where created before any O365 components existed was through the Windows Intune Sign Up process. The customer has already the Windows Intune subscribtion in place and wants to add a fresh Office 365 tenant to it using the same (.onmicrosoft.com) name . 5. When you click “Domains” (1) , you will see that your validated domain ( in our case Demolabs.be) is attached and validated (2) . Now the last step is to go thru the wizard “Complete Setup” (3) to complete it .